The answer depends on what type of fish you intend to buy. The species itself could fetch a large sum and the equipment necessary to care for the fish might be pricey. Most people choose to own fish not only for companionship but as a living decoration to their home. Beautiful, eye-catching aquariums will be more than most people can afford and their upkeep is another expense one would have to factor in. Fish can range from your common little goldfish or betta to exotic tropical species. Currently, the most expensive aquarium fish is the platinum arowana, or dragonfish, which fetches almost $500K. While you might not be in the market for this creature, other modestly priced fish can run as high as a hundred bucks per individual. You must first decide whether you want a freshwater or saltwater aquarium and then afterwards decide on the species that will inhabit your tank. 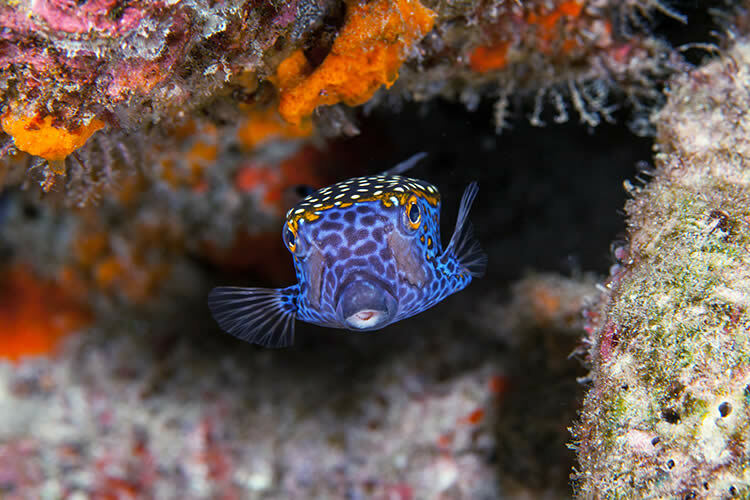 Some saltwater swimmers include the emerald green clown goby and the cobalt-colored orangetail blue damselfish, both of which cost about $10 per fish. On the more expensive end are eels and stingrays, usually going for a couple hundred bucks. Starting your marine environment will be the most expensive part of owning fish and can run into the thousands if you don’t price shop. The environment is the most important part of owning fish. If you are planning on investing hundreds of dollars on the population, then you don’t want that investment to go to waste with animals that become sickly or die a couple of months after purchase. Even if you choose to have only one small fish, a 3-5-gallon tank is a good size to have and will cost you about $20 at the least. If you need heaters, water conditioners, and aesthetic accessories, you’ll need to figure in about a hundred dollars more. For the more expensive varieties of fish, and for those who want a myriad of swimmers, an aquarium of 100 gallons might be necessary. Finding a used one should be your first course of action; a new one will be a few hundred dollars and even more costly if it has a built-in cabinet. After the expensive hurdle of starting your aquarium, monthly costs should be reasonable. Hiring a company to maintain your tank will undoubtedly cost a hefty fee but if you are willing to take on most of the tasks yourself, you can minimize the expenses (relative to the startup costs) of keeping your fish happy and healthy. However, if you have a large saltwater aquarium that needs the whole works such as heating, filtering, and cleaning, expect your costs to go upwards of a couple hundred dollars per month. If you have an outdoor pond, the time and money spent maintaining it may be even more. Electricity is a cost factor when considering fish as pets. Vet care is another cost to consider. You’ll want to have a vet for your fish, which you’ve already spent a pretty penny on. Be aware – vet visits are a hassle for fish. You either must bring them to the doctor’s office or you must spend a substantial amount to have a fish vet visit your home. To prevent harm to your fish, don’t try to treat them before calling the vet. As soon as you notice something off-kilter, get the fish treated by a professional. Close monitoring is the key to keeping your fish healthy. Pay attention to their eating habits, their vivacity, and especially their swimming position. One indication that your fish is sick is its flexibility and maneuvering when swimming. Sick fish don’t wiggle around as easily and they seem to tilt to one side as if off-balance. To be accustomed to their habits and personalities, spend quality time watching them swim around. For those of us who just want a lively little creature swimming around in our home, a goldfish or betta will suffice. The fish themselves will cost about $5 each and you can find a decent five-gallon aquarium for about $20. Decorative accoutrements and electric appliances will cost about another hundred. The only real maintenance these fish need are food, water-filtering, and tank-cleaning. You don’t have to spend a lot to own fish. The budget will be largely up to you. With so many choices available in fish-rearing, you could spend anywhere from $150 to $20,000 to start your aquarium.